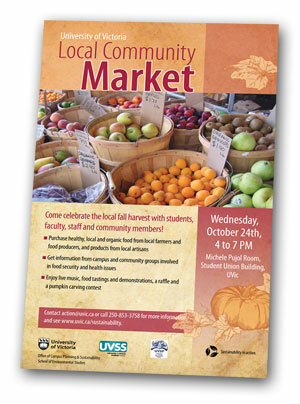 The first UVic community market in some time was held on Wednesday October 24th, 2012 in the Student Union Building. Hosted by the Office of Campus Planning & Sustainability, School of Environmental Studies, University of Victoria Student Society and the University of Victoria Sustainability Project, the event was AWESOME! An especially big thank you to Rita Fromholt, our UVic sustainability coordinator. 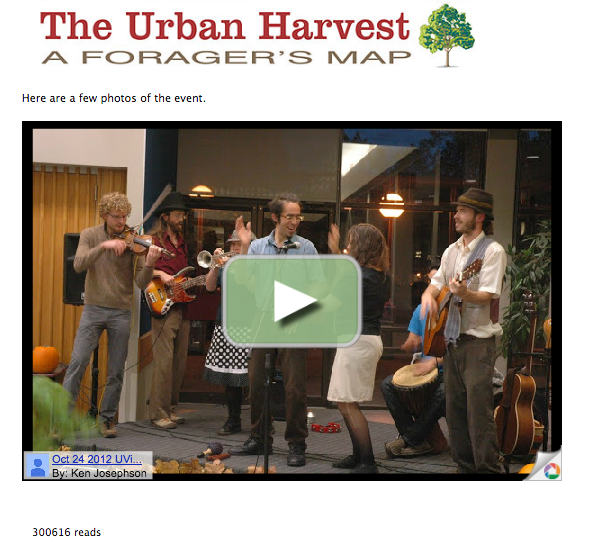 The Urban Harvest Project hosted a mapping table gathering sites and stories about foraging and casual harvesting. Team members on the project were Eric Gibbs, Helen King, Andrew Picard, Kyle Yen, Elliot Turnbul, Geneva Chow and Jennifer Lockhart. We also had Rosie and Kimber conducting a survey on the UVic community's cycling habits. The original webpage had 300,616 reads in fours years, before migrating to this new site.